There’s no bad blood between these two. 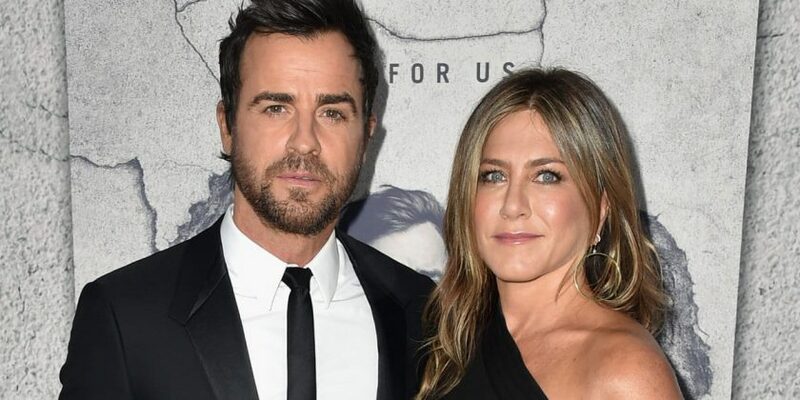 Jennifer Aniston’s exes are coming out of the woodwork for her 50th birthday! After ex-husband Brad Pitt was spotted attending her birthday party over the weekend, Justin Theroux took to his Instagram on Monday — Jen’s actual b-day — to share his well wishes, too. "Happy Birthday to this fierce Woman," he captioned a photo of Jen holding some horns over her head. "Fiercely loving. Fiercely kind. ….and fiercely funny. ❤️ you B." "The good news is that was probably the most — I’m choosing my words really carefully — it was kind of the most gentle separation, in that there was no animosity," he explained. "Neither one of us is dead, neither one of us is looking to throw hatchets at each other. It’s more like, it’s amicable. It’s boring, but, you know, we respected each other enough that it was as painless as it could be." "It was heartbreaking," he added, "only in the sense that the friendship would not be the same, as far as just the day to day. But the friendship is shifting and changing, you know, so that part is something that we’re both very proud of." ‘Bizaardvark’ & ‘Coop & Cami’ Move To Saturdays & JJJ Has The First Look Pics From Tomorrow’s Episodes!